Now you can experience the full impact of recorded files with the AR-M2 High Fidelity Hi-Res music player that features the state of the art audio engine based on Acoustic Research's proprietary M1 Music player. It enhances the accuracy in music playback by containing a flagship class Burr-Brown PCM1794 differential current output DAC and dual crystal oscillators. 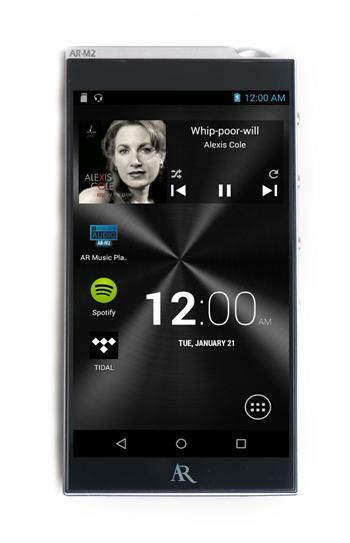 AR Music Player runs on Android OS 4.3 and is equipped with Qualcomm MSM8926 processor, providing excellent playback stability. Additionally, AR has its own audio path application music player that gives the impact of AR's unique circuit "AR M-Class engine" realization. AR-M2 supports the audio framework of Android which allows for the use of third-party apps.